Chemistry at Franklin and Marshall College - learning conceptual models to understand matter at the atomic level, critically analyzing data and scientific papers, and creating new knowledge through research. Franklin and Marshall College's Chemistry Department ranks 7th among liberal arts colleges (LACs) in the number of research articles published since 2008 (many with student coauthors), and ranks 4th among LACs as the baccalaurete origin of PhDs awarded from 2007 to 2016 . F&M was also among the top 10 predominantly undergraduate institutions (PUIs) in terms of research grants received from the Research Corporation for Science Advancement. From 2007 to 2017, F&M's Chemistry Department has been awarded $3.4 million, from external funding sources, to support its programs. 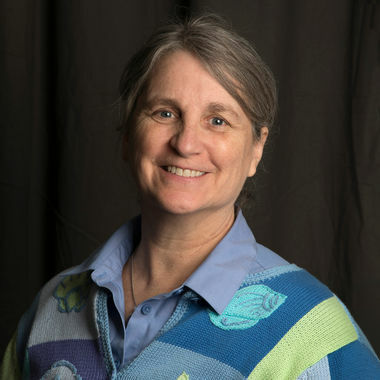 The Chemistry Department at Franklin & Marshall College is accepting applications for TWO Visiting Assistant Professors beginning July 1, 2019. 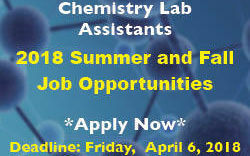 For full details, visit the job announcement at https://www.fandm.edu/chemistry/chemistry-employment-opportunites. For full consideration, applications should be received at Interfolio by February 10, 2019.
being able to coauthor research publications with faculty members. The Chemistry Department is located on the 3rd & 4th floors of the Hackman Physical Sciences Laboratories Building. Read more about the learning objectives for Graduating Students for the Chemistry Department at F&M. Where Chemistry and Biology Meet: The Chemistry Department at F&M has a strong history of research that seeks to illuminate the atomic and molecular world. In applying this molecular view to living things, biological chemistry seeks a greater understanding of the mechanisms of life itself. Chemistry is the study of matter and the changes it undergoes and, as such, is essential to the study and understanding of physical, geological and biological phenomena. Because of its place among the sciences, chemistry is inherently interdisciplinary and attracts students to its study from a broad range of related interests. Applications for Summer (May 7 - Aug. 24) and Fall 2018 Semester Lab Assistant Positions are now being accepted. Visit Handshake and search for "Chemistry Lab Assistant" or pick up and drop off applications at the Chemistry Office (HAC301B). The Chemistry Department recognizes the accomplishment of students who have performed well in IB courses, as well as on Chemistry AP and A-level examinations. Also, some students will desire to take summer courses in order to transfer chemistry course credits for a variety of reasons. 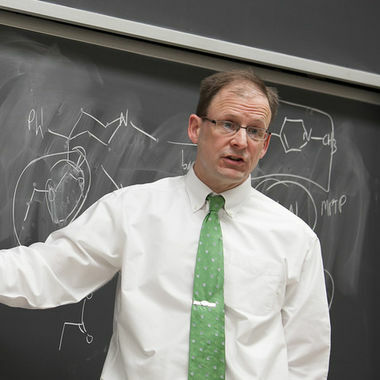 The Chemistry Department uses a number of criteria to determine if chemistry courses may be approved for transfer to F&M. Independent Research (Chemistry 490) is strongly recommended for senior Chemistry majors. During the past decade 90% of the senior majors have taken advantage of this opportunity. Students can also accomplish a great deal during summers or by working several afternoons a week during the academic year. Over the past 10 years more than 20 chemistry students have participated in one- or two-semester study abroad experiences. Students have studied at universities in England, Scotland, Ireland, France, Germany, Austria, and Australia, often through traditional approved study abroad programs. Chemistry is fundamental to an understanding of the properties and reactions of matter. It is critical for the development of new drugs, compounds with new properties such as superconductors and nanomaterials, and the continual refinement of substances that make our lives more enjoyable. Chemistry majors routinely co-author research articles published in well-respected journals, and present their research at local and national meetings. The student who majors in Chemistry at F&M receives an excellent, balanced education and is well-prepared for graduate work in chemistry, the pursuit of medicine, opportunities in the pharmaceutical and chemical industries, and a variety of other career paths. The 2018 Chemistry Newsletter is available online. The 2017 Chemistry Newsletter is available online. At first glance, the large instrument, which has its own room in Franklin & Marshall College’s Barshinger Life Sciences and Philosophy Building, appears like an ordinary microscope. China native Peter Sun says doing research in chemistry and independent study in math were challenging and rewarding moments.